CinéStudent Film Festival: The CinéStudent Film Festival is Tonight! The CinéStudent Film Festival is Tonight! 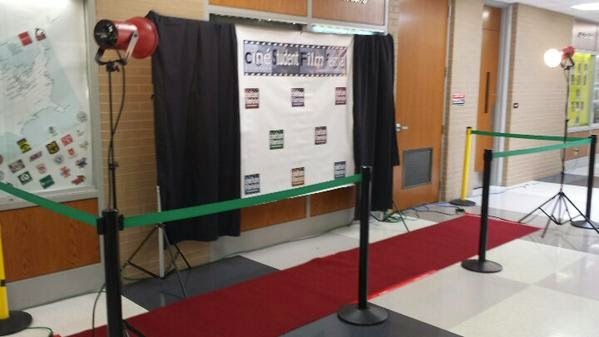 The curtain rises on the first annual CinéStudent Film Festival tonight at Elk Grove High School at 7 pm. Come earlier and watch the filmmakers walk the Red Carpet! Box office opens at 6:15. Only $3. We will be giving away over $200 in filmmaker awards, including an Audience Award that will be chosen by you! Plus, the audience wins, too, with prizes from Rocco Vino's, Elk Grove Bowl and Lou Malnati's!